Brazil is a home for numerous unique plants that can be cultivated at home, including the silver vase plant. 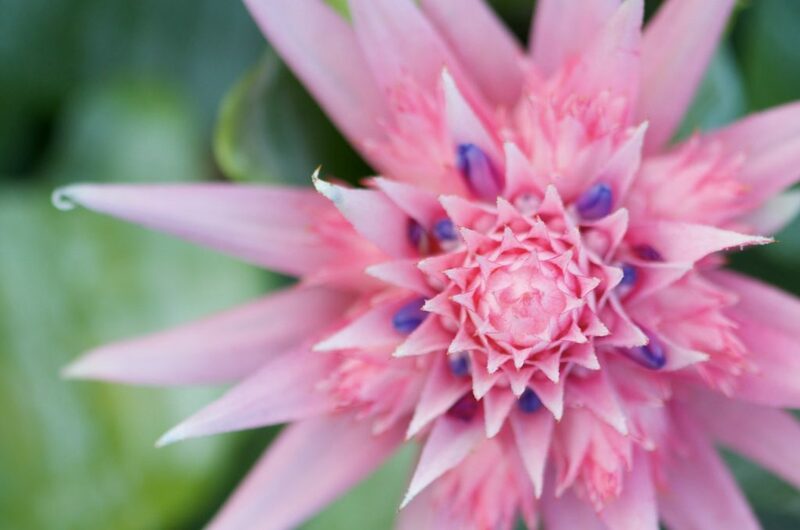 This plant is a member of bromeliads, with a unique look and majestic-looking flower during blooming season. Despite the long wait for the bloom, the plant still offers an interesting look for your house. Here is what you need to know about growing and caring for this Brazilian native plant. The silver vase (Aechmea fasciata) is a type of plant that naturally grows on other, bigger plant (such as a tree). The name “vase” came from its leaf formation, which forms vertical and circular layers that resemble a vase or urn. 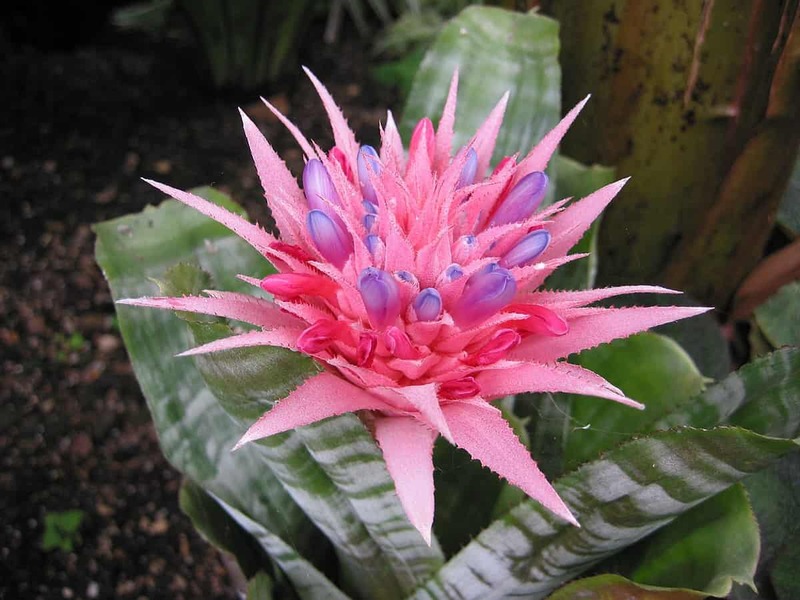 Because of its status as a member of the bromeliad family, the plant is sometimes called Aechmea bromeliad. Silver vase has long, pointed, and waxy leaves, which are used by the plant to collect water. Since it is a native plant of Brazil, it needs similar requirements to thrive, such as warm temperature and full sun. During growth years, the plant produces small flower bracts that have bluish colors. However, many of them later die, leaving one bract that grows into large, spiky pink bloom. Silver vase or urn plant is both unique and easy to care for. The plant’s waxy leaves and short root system mean you don’t need to water it often. 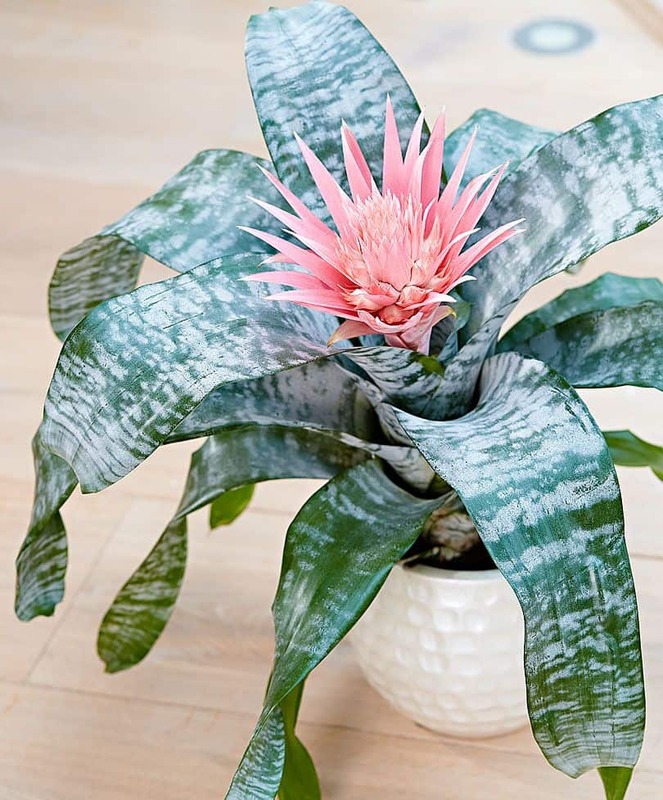 The appearance is unique, with vase-like leaf formation that ends with a spiky pink flower. This plant turns into showstopper during dull bloom, but its leaves also have their own unique charm. Silver vase’s flowers do not bloom and recede periodically like other flowering potted plants. Once the main flower grows, you can enjoy it for around six months. However, if you buy a young plant, you need to wait for four to five years to see the flower. Afterward, the plant will slowly wither and die, which is not good if you expect something more permanent. 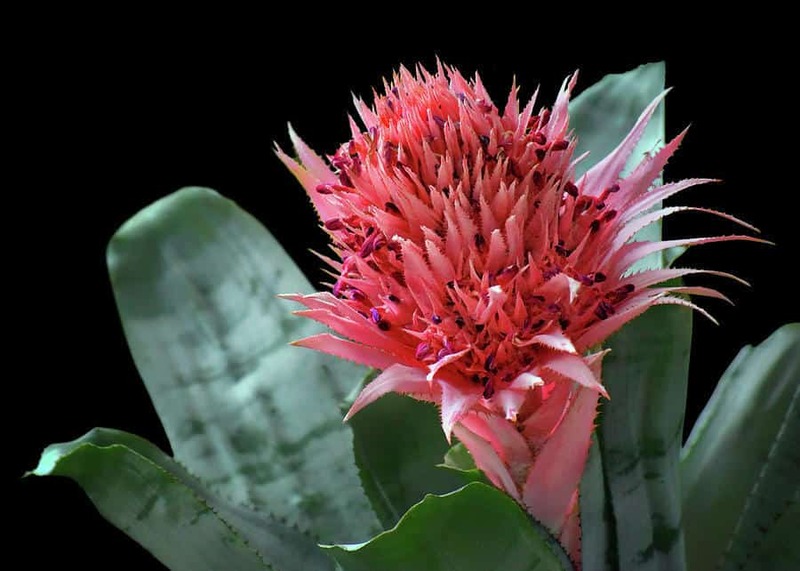 The common solution is to buy this pink bromeliad when it is already (or close to) full bloom, which can be expensive. You can also buy this plant if you often experiment with new interior design, which means you are “okay” with temporary decoration. Make sure your house or apartment has an ideal temperature for this Brazilian native plant. The plant thrives in 59 to 70 degrees Fahrenheit temperature (15 to 21 degrees Celsius). Silver vase likes high humidity, like in tropical South America. You can install humidifier or mist the plant regularly to provide humidity if your area has a dry climate. This plant only needs occasional watering, and you need to fill the middle part of the leaf “vase”, just like the way the plant thrives in its natural habitat. Overwatering can make it rot or wither. This plant loves bright light, but it cannot handle too much direct light. You should place it in a room that gets a lot of natural light but without exposing the plant to the actual light. Direct light can scorch the leaves and reduce the plant’s appearance. 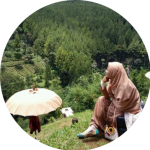 Once you fulfill the requirements, you can take care of this plant easily at home. It is not a fussy species, which makes it perfect for busy homeowners. Silver vase can reach the size of 26 inches (66 cm) in diameter, and 18 inches (45.7 cm) in height. Buy a slightly wide and tall pot to accommodate the plant’s shape. Mix peat-based soil with perlite and bark to create well-drained soil mixture. Once you bring the plant from the nursery, slowly remove the plant from its container and scrape off the soil. Place the plant in the new pot. Wet the soil but don’t overflood it. Afterward, fill the leaf “cup” until it almost reaches the brim. The plant will slowly absorb the water like in its natural habitat. Only water if you see the soil dry, but don’t wait until the soil cracked. Refill the “cup” if it is empty. You must also fertilize the young plant once a month. Use a liquid fertilizer that is slowly mixed with the soil. The pink spiky flower sometimes does not come out until the plant withers. This can be caused by overwatering or lack of fertilizing. Leaf tips that look brown or scorched may experience lack of water. This can happen if you don’t regularly fill the “cup”. The bad or rotten smell may come from the stagnant water inside the plant “cup”. Since this plant retains water in its leaf formation, you should remove the stagnant water every two or three months, if any. Dry or brown patches on the leaves may be caused by direct sunlight or low humidity. If you see this sign, move the plant to any room with bright but indirect light. Try watering it properly and install humidifier if necessary. Disfigured leaves may happen if you use hard water on the plant. Check the mineral level of your water system and consider using another water source. The shape and size of this plant make it prone to tipping off and falling. Prevent the fall by placing it in a stable, heavy pot, such as from stone or ceramic. The silver vase is slow-growing, large, and heavy, but it offers unique sight. It is also robust and not really fussy, perfect for busy homeowners who like plants with easy requirements. You need to water it properly, regulate the light, and choose the right pot to keep it happy. However, the silver vase plant is a perfect option to adorn your house with a hardy but eye-catching plant.